Eye tracking (ET) for gaze interaction in wearable computing imposes harder constraints on computational efficiency and illumination conditions than remote ET. 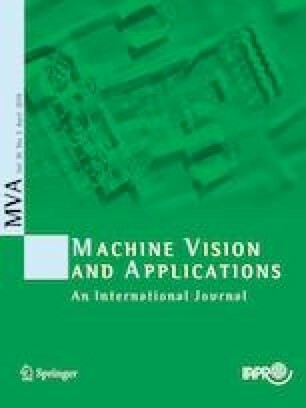 In this paper we present xSDL, an extended temporal support computer vision algorithm for accurate, robust, and efficient pupil detection and gaze estimation. The robustness and efficiency of xSDL partly come from the use of stroboscopic differential lighting (SDL), an extension of the differential lighting pupil detection technique developed in the 90’s. Due to the erratic behavior of eye movements, traditional computer vision tracking techniques (such as Kalman filters) do not perform well, so most ET techniques simply detect some eye feature (such as the pupil center) at every frame. Extended temporal support uses keyframes selected during eye fixations and a simple translation model of the pupil to further improve the computational performance of SDL. A prototype composed of two independent acquisition systems was developed to evaluate the performance of xSDL and other four state-of-the-art ET techniques under similar conditions. Our results show that xSDL outperforms those four algorithms, both in speed (close to 2000 Hz using 240 line frames) and accuracy. This work has been supported by the Fundação Araucária (DINTER Project UTFPR/IME-USP) and FAPESP Grant Number 2012/04426-0, 2016/0446-2, 2016/10148-3 and by the Coordenação de Aperfeiçoamento de Pessoal de Nível Superior - Brasil (CAPES) - Finance Code 001.